There’s something about glitter makeup that can make almost every girl smile. 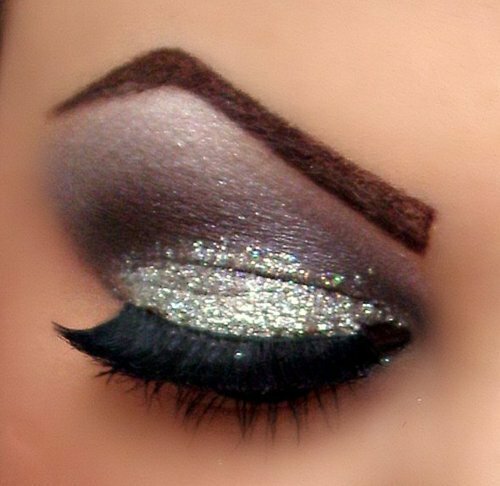 Glitter can help you create an amazing party look. Glitter makeup is girly, sparkling and fun. There has always been something incredibly attractive about glitter. The way it reflects the light and helps create a glow makes it perfect for day wear as well as for a party makeup. You can see glitter in a lot of products like makeup, body lotions, lip glosses, powders and so on. Choose the glitter that matches your outfit best. When it comes to choosing the color, lots of colors are trendy – gray, purple, green, blue, red and so on. You can combine two or more colors to get an even better effect. Combine purple and pink and blend. Apply purple eye liner and glitter eye shadow. 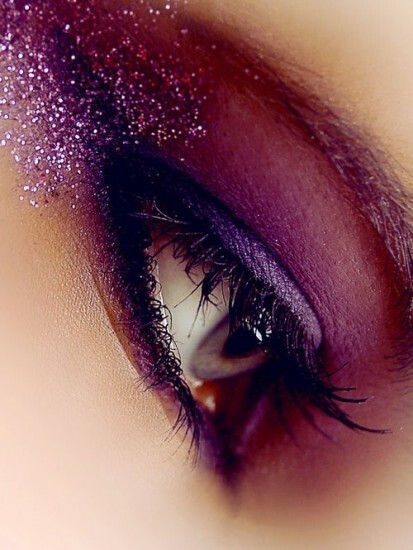 Instead of eye liner, you can also apply dark purple eye shadow as a base and then apply the glitter. Glitter looks great with every eye color. For a more dramatic effect, you can also apply crème or beige eye shadow as a base. Use black eye liner for the lower eyelids. After that apply silver or gold glitter eye shadows and thin black eye liner. Don’t forget the mascara. 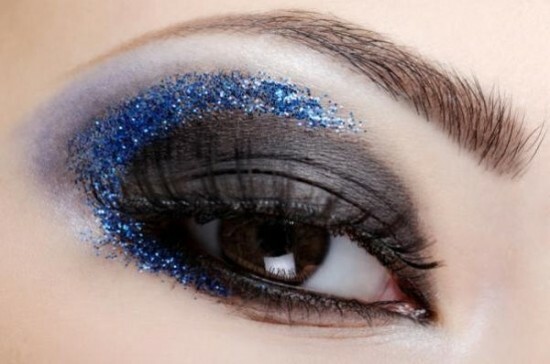 Blue glitter can also add a beautiful accent to your party makeup. 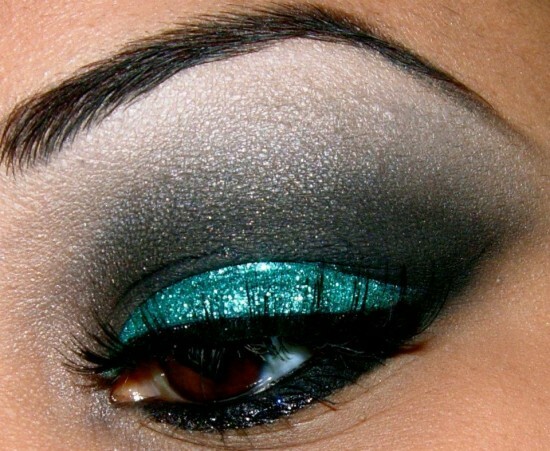 Apply black or dark gray eye shadow and then add blue glitter powder toward the outer corners of your eyes. Finish the look with black mascara. For your party makeup you can also choose warmer colors like yellow or orange. You can combine them with blue, red or purple and blend. Apply thin black eye liner and mascara. 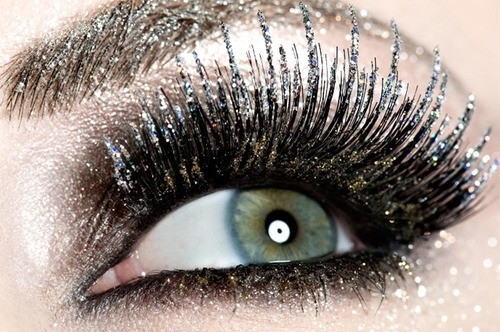 Glitter is a great choice for a party makeup. Nothing in the world can give you an instant party glamour better than a good coat of glitter makeup.